Kia Motors has unveiled the all-new Soul EV at the 2018 LA Auto Show, a completely new iteration of its zero-emissions compact crossover. 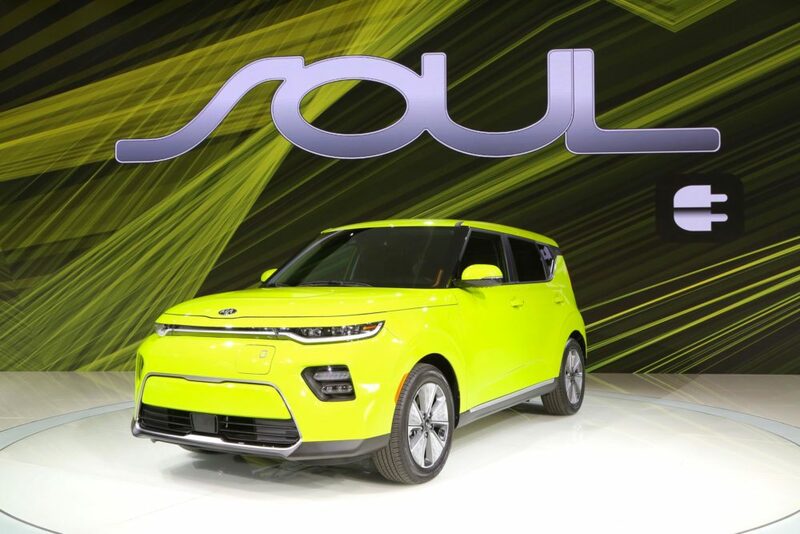 The Soul EV features a new cutting-edge liquid-cooled lithium-ion polymer 64 kWh battery pack, with a vastly improved range over the outgoing model. This improved range means significantly less need for daily recharging – and a Combined Charging System (CCS) DC fast-charge, fitted as standard, means shorter stops and rapid battery charging. The new car has 201 bhp and 291 ft kb of torque (up from 210 ft lb in the outgoing model), the car accelerates even more strongly. Handling and driving dynamics are also improved, thanks to the adoption of new fully-independent rear suspension. The Soul EV also provides plenty of tools for drivers to customise their driving experience and their battery usage, with four drive modes – Eco, Comfort, Sport and Eco+ – which automatically adjust power output to the traction motor. The driving modes also control the level of regenerative braking on offer, air conditioning and heating settings, and enable drivers to set speed limits to help manage operating efficiency in different driving conditions.